Will You Buy Apple’s New AirPods? Apple Airpods are the mostly used truly wireless headphones in the world. Though, when the company did finally unveil the AirPods they were met with plenty of criticism. Not for how they worked, mind you, but the knee-jerk reactions were primarily aimed around how they looked. AirPods are the truly wireless headphones I see out in the wild. I’ve never seen any other alternatives. I have tried switching from Airpods to other wireless headphones by attracting towards there design but ended up settling on Airpods. The AirPods quickly became my favorite device after I bought them. Almost a year later and that’s still the case. I’ve used them with my Apple-branded products without fail, switching between one and another with ease. And I’ve used them with Android devices, too. Currently, I am using them with Google Pixel 2 XL and they work great. Though I wish if the battery life was a little longer. Now, that Apple is here with the new Airpods, I am in a dilemma if should upgrade or not? AirPods 2 is powered by the new H1 chip which Apple says is up to two times faster when switching between active devices. With the H1 chip, AirPods 2 is also said to offer 30% lower gaming latency. Apple uses W1 chip on the first generation AirPods. The biggest change with the new AirPods is the wireless charging case. 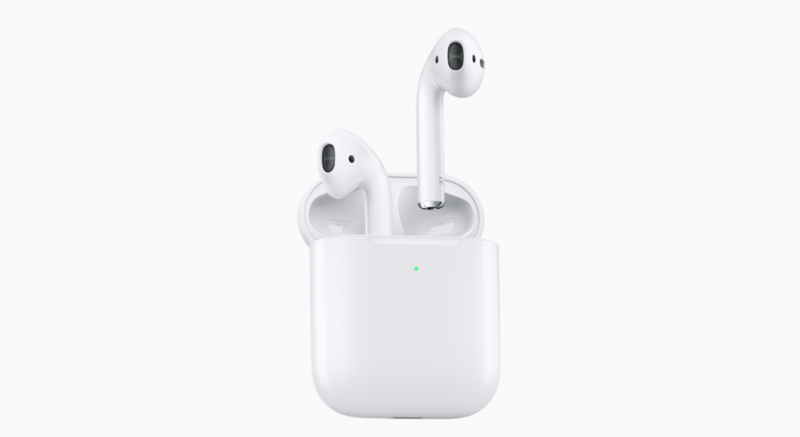 Apple launched AirPods 2 with a wireless charging case which also houses a Lightning port for charging. The wireless AirPods case can be charged on any Qi-compatible charging mat. In terms of battery life, the new AirPods improve only on talk time offering 3 hours now as opposed to the previous 2 hours. Music playback and charging cases are the same offering 5 hours and 24 hours respectively. iOS users will now be able to activate Siri using voice. Users can simply say “Hey Siri” to activate the voice assistant. The older AirPods required tapping on it to launch Siri. AirPods with the normal charging case will be available at Rs 14,900 in India. AirPods with the wireless charging case will cost Rs 18,900. Separately, the wireless charging case will be available at Rs 7,500. Now considering the pricing perspective, If I upgrade I am not getting anything which I cannot miss. I mean wireless charging is cool, I get it. But it comes with a pretty heavy cost. Also, the battery capabilities haven’t improved that much. It’s up by just one hour (that too just for calls) Music playback and charging cases are the same offering 5 hours and 24 hours respectively. So as of now, I’ll stick to my old Airpods. But, what about you? Are you upgrading to the second-generation AirPods? If so, are you opting for the wireless charging case, or saving some money and sticking with the standard case? Let me know in the below comment section.